School of Energy and Power Engineering, Wuhan University of Technology, Wuhan 430063, P.R. China. Diesel engines have been widely used in various engineering applications. The performance of diesel engines is influenced greatly by the operation condition of the cylinder liner-piston ring. It is therefore crucial to investigate and assess the working condition of the cylinder liner-piston ring. Literature review indicated that there are few studies on this issue. 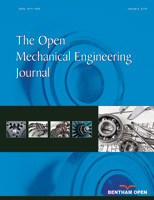 Therefore, this study proposes a condition identification model for the cylinder liner-piston ring via fuzzy C-means clustering technique. The experiments of different surface treatment of cylinder and several typical fault modes were carried out using an internal combustion engine simulation tester. The fuselage vibration signals of the diesel engine were collected.The wavelet packet was then used to obtain the high frequency components of the vibration signal and extract its energy characteristics. The vibration identification model based on fuzzy C-means clustering has been established according to these characteristics. The analysis results show that the proposed model can identify the operating mode of cylinder liner-piston ring according to the vibration characteristics effectively.